Made from china, the Wild Dining - Giraffe plate will bring a touch of fun to your dinner table. 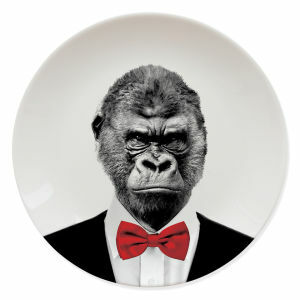 Completely dishwasher safe, the plate features a quirky giraffe design that is sure to put a smile on any diner's face. - L.M. Bought as a Christmas present for my daughter and family which was a hit. Good quality, nice designs. I initially bought these as a 'filler' present for my partners recent birthday but was surprised and very pleased at how well received they were. 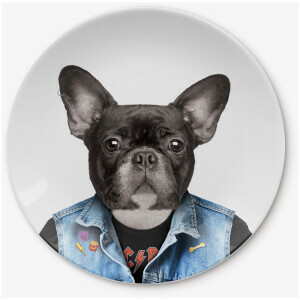 The quality of the plates are excellent and the designs are fantastic. I will be purchasing the set now and a few friends have commented that they will be doing the same. I highly recommend this product! Plates fit for a king and my petite dishwasher. Reasons to be cheerful. 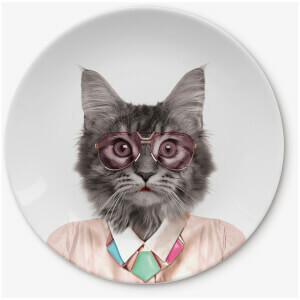 They are good quality, are cheeky and fun and at last at 23" have found a dinner plate that fits in my tabletop dishwasher where breakfast plates at 25" have failed! Excellent ordering and tracked free delivery service to boot. Good quality bought as birthday presents and am really pleased got them on offer too wich is a bonus.